If you live on Florida's Treasure Coast, we hope you'll join us this Saturday for our live seminar. Get all the info below. I know it's been a few weeks since our last email and I apologize. We have had so many changes with our new Remote software and everyone is learning it, it's just made us very, very busy! We hope you understand. 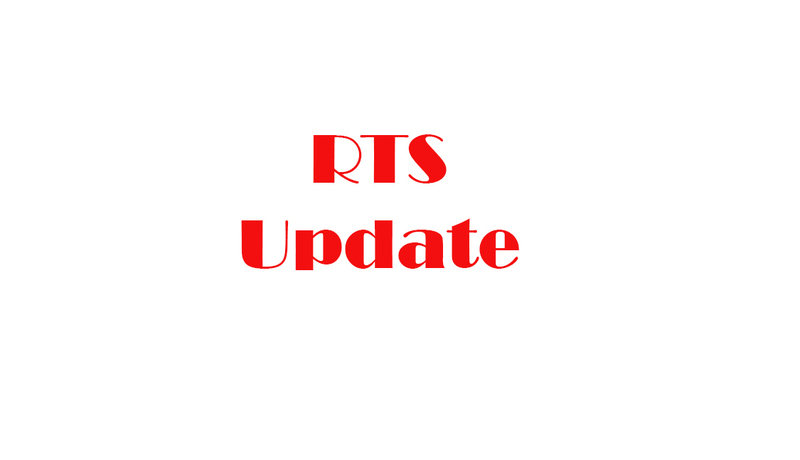 If you're a Remote Technical Support customer, please see the section below labeled RTS Update. Have a great weekend coming up and we hope to see you Saturday if you're here on the Treasure Coast! If you live on the Treasure Coast, our November seminar is THIS Saturday (2 days from now!) and we hope you can join us! The cost is still just $8 a person and there'll be coffee, tea, juice, donuts and other goodies so come a few minutes early! The subject is "O Thank Heaven" and it will be from 10:00 a.m.-12 Noon at Trinity United Methodist Church in Jensen Beach, FL. (Click on the picture above to get directions, etc.) You can find an outline of what we plan to cover by visiting our seminar page which you'll find HERE. If you haven't watch our one-minute video update regarding our new Remote Technical Support software, would you do that now? Please click on the button below to watch the video. Thanks. If you're like Joyce, you're already buying Christmas gifts. And, maybe you're buying them online like her, too. Here is a site we love for gift-giving because of how you can personalize everything. Click on the banner below and get 15% off. Yes, we'll get a buck or so if you purchase but don't let that stop you! Question: "Are Russians hacking into my computer?" Answer: Unless you have something to do with Hillary Clinton's election campaign, it's highly unlikely that Russian hackers (or hackers from any other country) are hacking your computer. Unfortunately, the idea that outsiders are hacking your computer comes from unscrupulous people and companies on the Internet who, once they get you to call them, will try anything to get you to purchase their services. We heard this from a new customer just this week. She was panic-stricken at an alert she received and she called the number listed. The person she called got onto her computer and showed her a screen similar to the one above. It shows all kinds of IP addresses listed under "Foreign Address." He then told her she was being hacked by Russians. In this Command Window prompt, "Foreign Address" means ANY address outside your Local Area Network (LAN). In your home, the LAN is anyone on your modem/router. It does NOT mean "foreign" as in "foreign country." Is it possible that a Russian could hack into your computer? Of course, given enough time, your computer can be hacked. However, it's highly unlikely and you should not accept a stranger's word for such an accusation. You can help keep your computer safe by installing the latest updates for your operating system and for programs on your computer; by keeping your anti-virus up-to-date; and, by not clicking on links in emails that are unknown or unexpected. If you pre-ordered my book "How To Be Smarter Than Your Electronic Devices," please know that delivery has been delayed (again - grrrr) and it should now be available around Thanksgiving. I know some of you ordered multiple copies for Christmas gifts. Please know you will still have your order for Christmas giving! If you want to save $12 by pre-ordering my book and/or you want to read the Introduction page to the book, you can do that by clicking the button below. Read the Introduction Page and/or Pre-order my book!